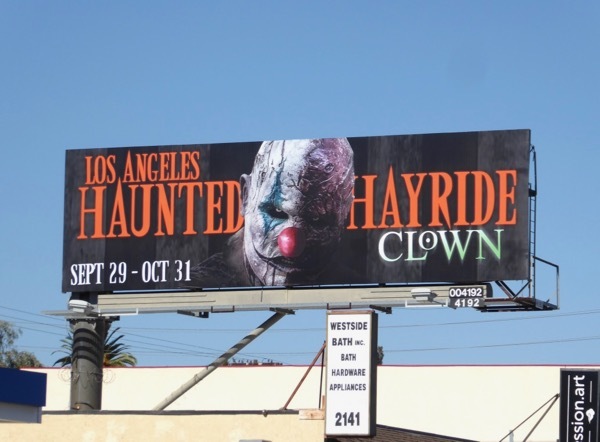 This certainly has been the year of the creepy clown, with everything from 'Pennywise' in the IT movie to the psycho clowns of American Horror Story: Cult making a killing. 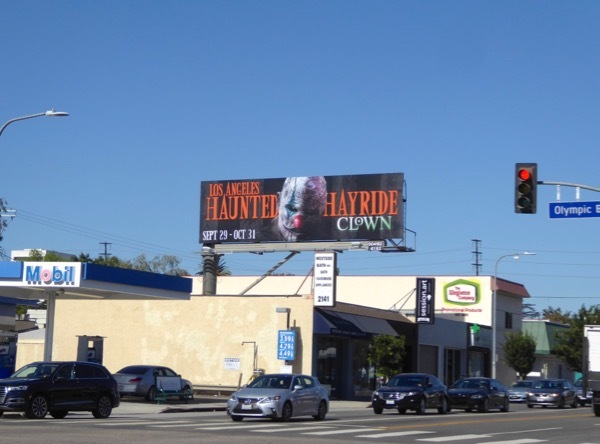 The Los Angeles Haunted Hayride this Halloween wants to cash in on the circus of horrors with its own Clown theme to help provide the scares at the site of the old abandoned zoo in Griffith Park in the dark of night. 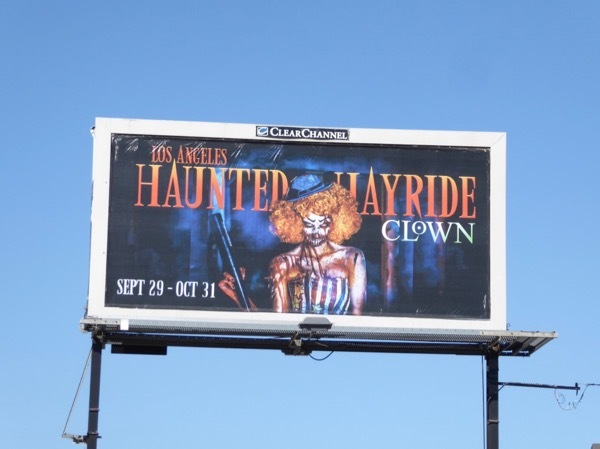 Creepy corn mazes, possessed demonic houses, macabre sights and sudden frights, will you be hopping aboard this nightmare ride this Halloween season? 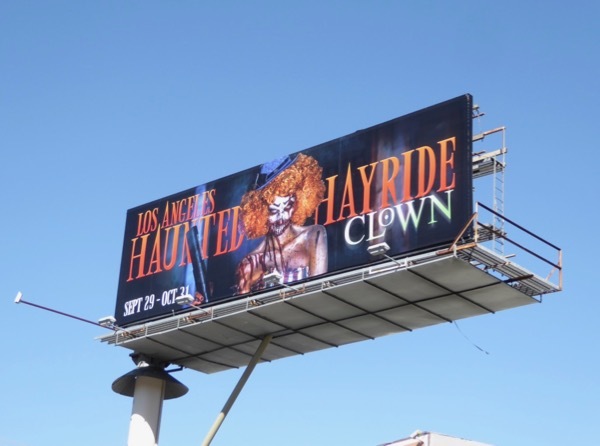 These Haunted Hayride billboards offer equal opportunity psychotic clowns, male and female options, whatever your preference for being gutted and dismembered, ahh equality. 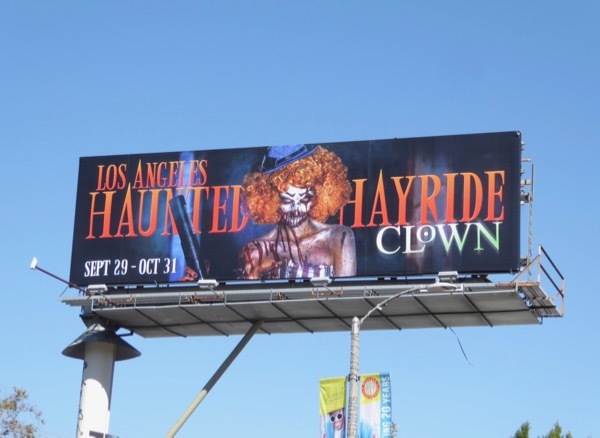 They were first spied appearing in the skies of L.A. from October 11, then snapped in greater abundance along Melrose Avenue, Pico Boulevard and Olympic Boulevard through October 21, 2017. 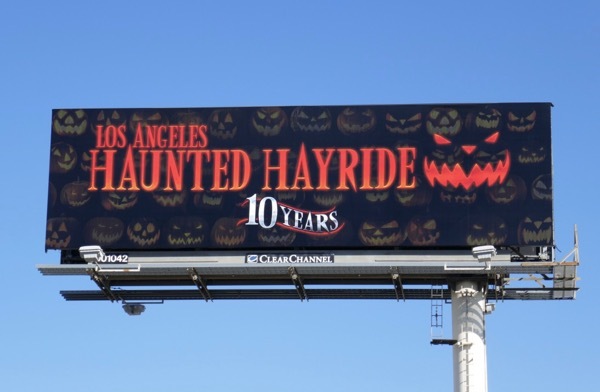 Fans of the annual attraction can also check out all these previous creepy billboards for L.A.'s Haunted Hayride from recent years. 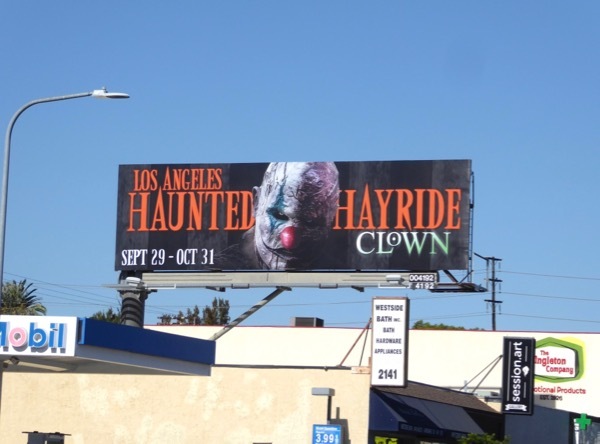 If you suffer from coulrophobia, a fear or clowns, then driving around L.A. must be a real nightmare at the moment, so drive safe and try and have a Happy Halloween. 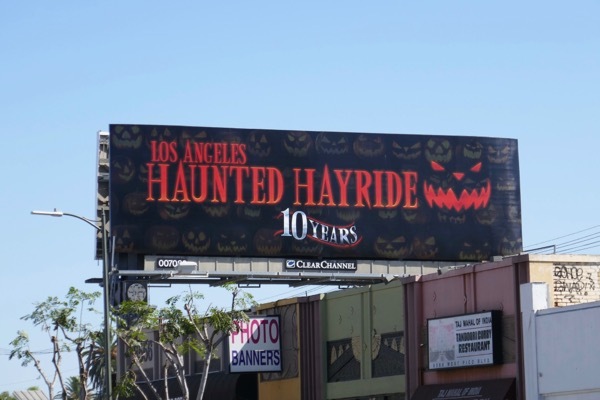 UPDATED: For Halloween 2018 the Los Angeles Haunted Hayride is celebrating ten years of scares. 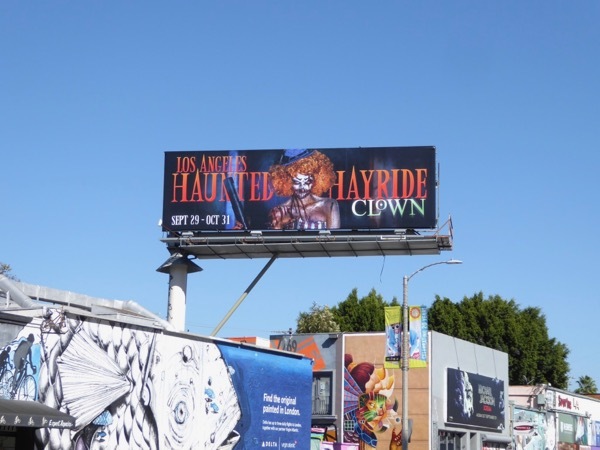 These tenth anniversary billboards were snapped along Pico Boulevard and La Brea Avenue from September 30 to October 15, 2018.